Javier González "Arsies", Miniature Painter: What's that "Kickstarter thing"? Kickstarter is an external website, It's not managed by me and it has nothing to do with Arsies Studio. It's a Crowdfunding platform and provides a service I need to sell the book, as eBay or amazon for third parties, but a bit peculiar. A bit peculiar because it's a Crowdfunding platform. But what is Crowdfunding? Well, some years ago, with the massive intrusion of Start-ups into global market, a lot of great ideas to make companies needed funds and big investors were not so much, so most of them with great ideas that could change the world just were to trash. There was the birth of Crowdfunding. If I can not convince one big investor to give me money to my project, why not convince a lot of small ones so everyone of them can give me just a bit that I need? 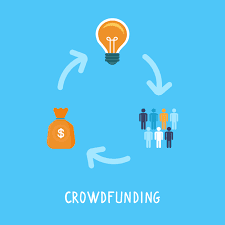 So Crowdfunding is a movement that makes possible that a lot of small investors make someone possible to run a project. Usually, in exchange they get something related with that project. Some of those projects are run more like a preorders campaign, in fact in Spain we have no Crowdfunding law, so all projects in that way are considered as preorders in taxes purposes. So What's the difference with a preorder then? In a preorder, you just pay the product and get it as soon as released. It's a fact. In a Crowdfunding that's not completely true. As I told you, You are not really preordering something, you are becoming investor in a project. That project needs a minimum objective to be possible, so if the total amount all investors (backers) raise is not enough, you just are not charged at all and project is cancelled. Also, if project goes very good and we get a lot of money, then we can plough back that extra money in you, the investors (Backers) as you are part of the project, not just buyers, so there are some secondary objectives that unlock some extra content. 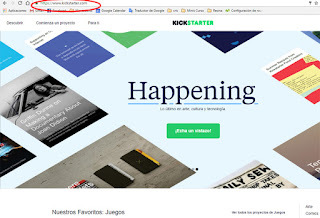 Kickstarter webpage is showed in your own languaje. OK, I got it. But how can I be investor and get the book then? First of all, you need to create a Kickstarter account. Just click HERE and follow the instructions. That's because we will need your data to send you the product at the end of the campaign and Kickstarter manages all that information for us. so it's very important. 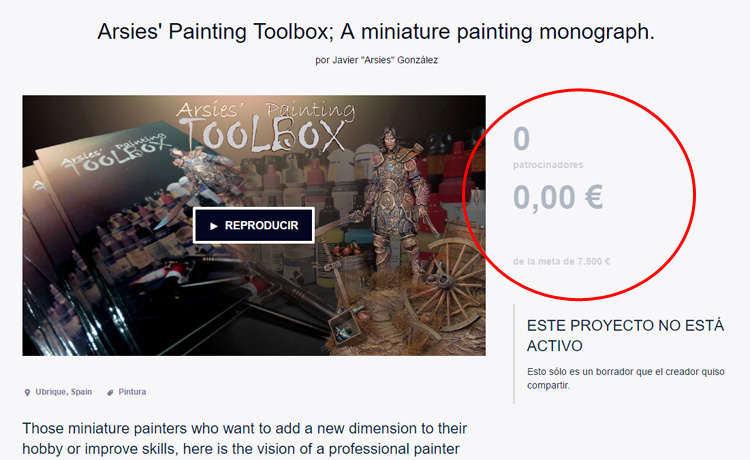 Once you have an account, you just need to wait until the Arsies' Painting Toolbox Campaign is active next 15th October. 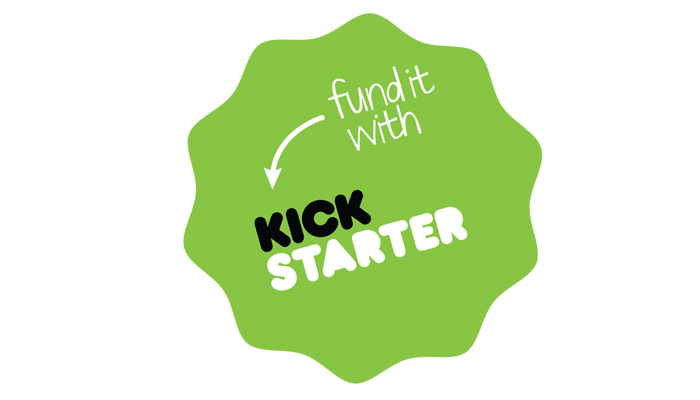 I'll announce it and give you the URL of the Kickstarter subpage to follow the campaign. Bookmark it. Read it carefully and if you think that project deserves your help, just choose one of the options (pledges) and click on it on the right sidebar. You'll become a backer then. Thank you! You're not going to be charged at all at this moment, only at the end of the campaign if we reach the objective. You can see how much money we collected in real time and how many people is trusting in this project in the upper right side of the campaign's page. I wish to show you the campaign's page already, but I can't until active as Kickstarter keeps it private until then. and it will be active just for a month so you must stay tunned and hurry up to not miss the opportunity.